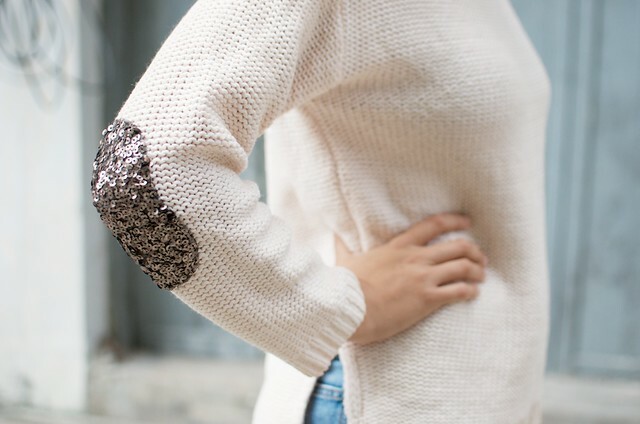 As the weather gets cooler and we all start to wear sweaters, it’s nice to add a little something special to them now and again. 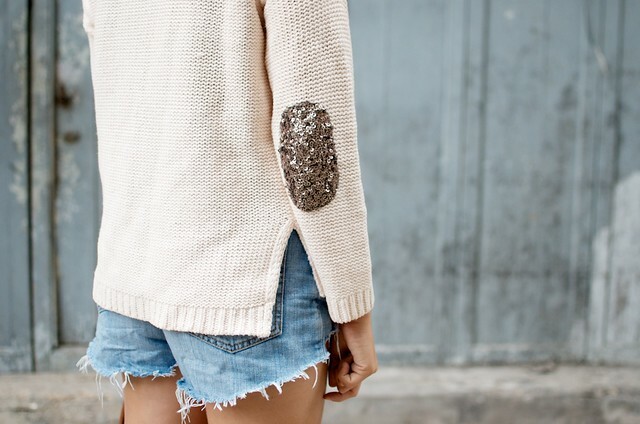 I’m such a fan of elbow patches (and sequins, duh!) 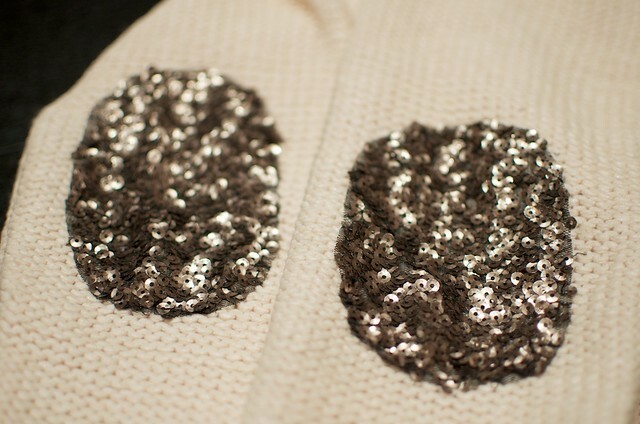 and recently couldn’t help myself but add some sequin patches to a blush knit. 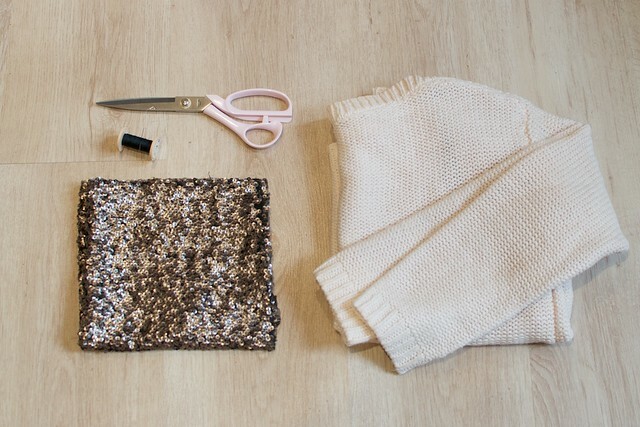 This is such an incredibly simple project, and took my literally no more than 15 minutes! 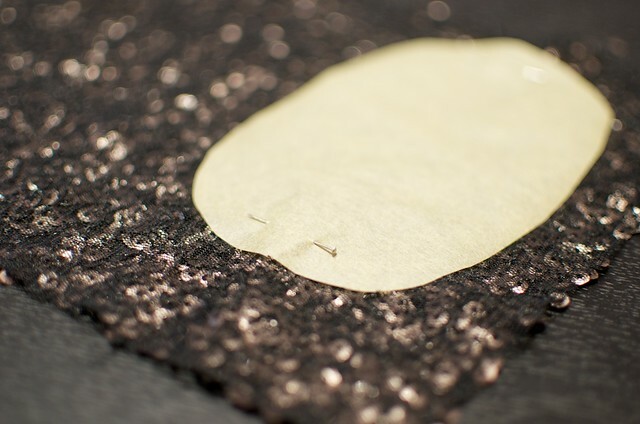 – Sequin fabric. 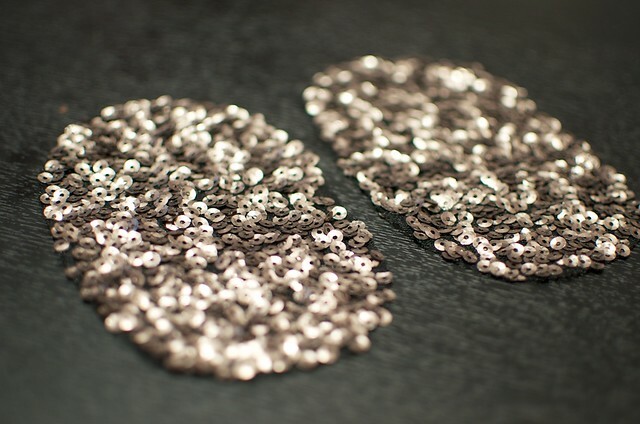 I always go for good quality sequins that aren’t too shiny as this looks much more subtle. 1. 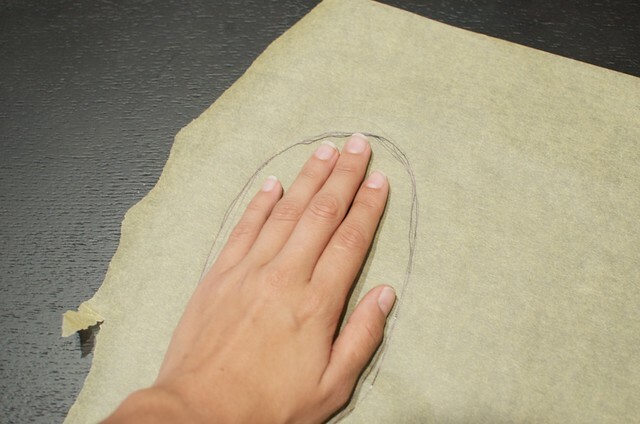 Using your hand as a guide, draw an oblong shape on the paper. 2. 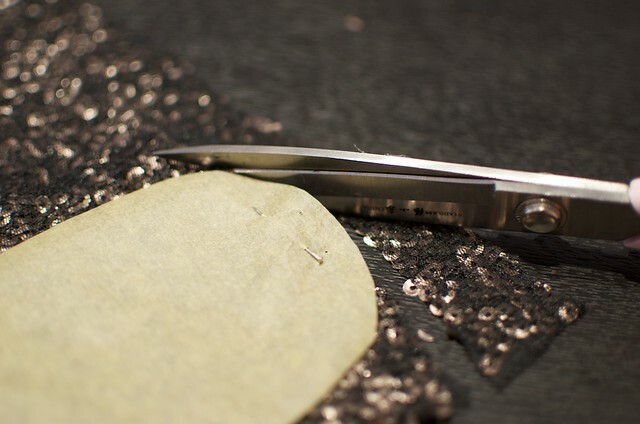 Cut the paper out and pin it to the back of the sequins. 3. Cut the shape out. 4. Do a second one the same. 6. 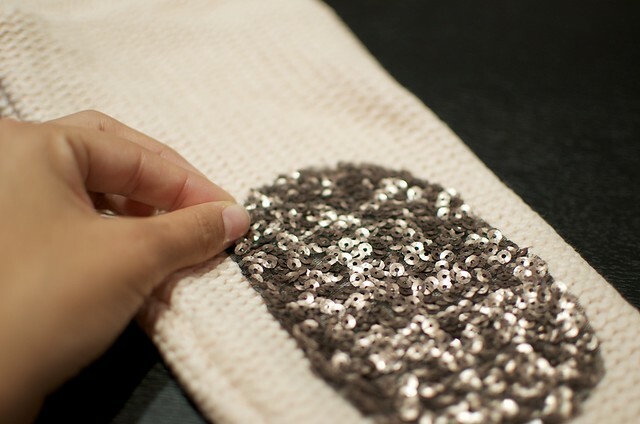 Pin the patches in place, and then try on the sweater to make sure they are located in the right place. 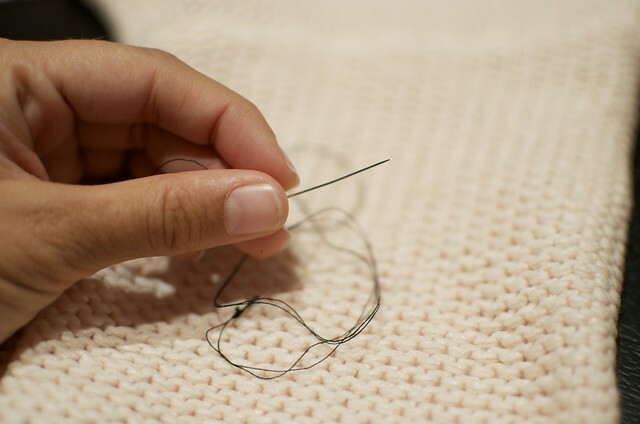 Then lightly stitch them on, using a longer stitch on the inside of the sweater and a shorter one on the front so that the stitches are less noticeable. 7. Stitch the other patch on, making sure to stitch in the right place so they look symmetrical. Voila. Perfect for brightening up a chilly day, or wearing with denim cut offs on a warmer one.